If you fish big bait for big fish you will love these hooks. Super quality at an affordable price stainless steel hooks. Super sharp knife edge points will last in the tackle box for years. When the fish bite they are committing suicide on these hooks. Release is still an option with these hooks and they stick more times than not! 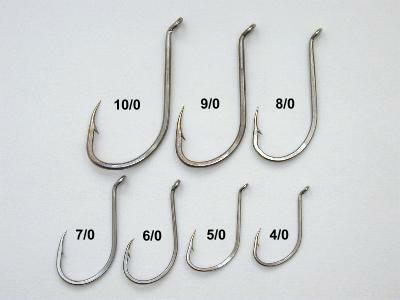 Octopus style hooks are used a lot for salmon steelhead white seabass catfish just to name a few.